Remember my blog about personalized Coke? My brother-in-law in Istanbul sent me this image last night and I was like.. wow! 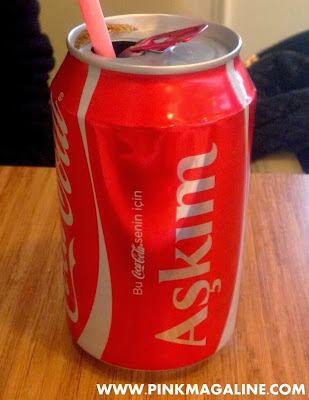 I didn't know they also have Coke with that name, my elder daughter's name, Askim. She didn't see it yet but I guess she will be thrilled to have it. I already requested my brother-in-law to buy one for her and buy Suna, for my younger daughter, if it is also available.